Sometimes there are faces that are so incredible in close-ups and extreme close-ups that they are almost painful to witness. Cinema makes these visages become works of art, portraits encased in celluloid (or digital, depending on the director) museums where history is captured and stored at the rate of 24 frames per second. These are faces that transcend any theoretical limitations of the camera, the perceptions of the audience, maybe even the story being told – the character evolves into a new and different beast, in the most positive sense. When an actor displays this level of ability to breathe life and meaning into a role, far beyond whatever was suggested on the pages of the script, you will know without hesitation that you have encountered a transformative creation that is both magnificently constructed for the movie theater experience and is also, in a strange way, even more affecting, thought-provoking and real than reality. Natalie Portman’s depiction of Jackie Kennedy in the new Pablo Larraín film Jackie is one example of this phenomenon. Close-ups and extreme close-ups allow nowhere for the actor, or the audience, to hide. Portman has to be able to project every ounce of Jackie’s grief, fear, self-loathing and stubborn vanity when her face fills the frame, and moviegoers have to confront those images over and over. Larraín’s film achieves the unbelievable feat of simultaneously getting under the skin of a complex woman, digging into her soul during the most heartbreaking and traumatic week of her life, and also staying at a distance, allowing the character to shape the recollection of events being told to a reporter (Billy Crudup) a week after JFK’s assassination. Jackie reminds me of 20,000 Days on Earth (2014), the scripted documentary in which Nick Cave recounts five decades’ worth of memories and shows us the controlled version of his life that he wants us to see – sleeping, eating, typing lyrics in a house which isn’t his actual house; reciting monologues that explain his innermost emotions via voiceovers recorded in post-production. Objectivity does not exist when people decide how their truths are told and how facts are remembered. At one point in the film, Portman’s Jackie murmurs, “I lost track somewhere. What was real? What was performance?” Who but Jackie Kennedy herself can say whether Natalie Portman’s performance is psychologically accurate? Perhaps Pablo Larraín and screenwriter Noah Oppenheim provide no concrete answers, either for Jackie (the character or the real person), for Portman as an actress or for us as the onlookers. The only certainty I have that Portman succeeded in her portrayal is a gut feeling, the awareness when the end credits began to roll that she had accomplished something that will continue to resonate with me, long after this Oscar season ends. Here are ten performances from 2015 that did not receive nominations at this year’s Academy Awards, but which you should nevertheless check out. I would have included more, but I’m a bit pressed for time (the ceremony starts in less than three hours!) and I couldn’t find enough clips for some performances, like Allan Corduner in Woman in Gold, Blythe Danner in I’ll See You in My Dreams and Olivia Wilde in Meadowland. Tom Courtenay (45 Years) – While this awards season’s focus on 45 Years has been centered on Charlotte Rampling’s performance as a wife feeling lost and betrayed by her husband’s long-buried secrets involving another woman, Courtenay deserves his own praise for playing the role of the husband with many strange layers of yearning for the long-ago past, confusion of his own and compartmentalization. Paul Dano (Love & Mercy) – Playing a music legend can’t be easy, but Paul Dano gets inside the head of Beach Boys genius Brian Wilson, whose musical innovations in the mid-to-late 1960s are interrupted by nervous breakdowns (eventually diagnosed as manic depression and schizoaffective disorder). The world acknowledges Wilson’s brilliance, but in scenes like the one where he previews “God Only Knows” (one of his masterpieces) for his father, the beauty of the song – even in its raw form – is undercut by harsh comments from Dad (“It’s not a love song, it’s a suicide note.”), which Brian takes to heart more forcefully than the words of any other critic. Benicio Del Toro (Sicario) – FBI and CIA operations in Mexico are observed by young, inexperienced agent Kate Macer (Emily Blunt), who is accompanied on her trips into the drug-cartel underworld by Alejandro Gillick (Benicio Del Toro), a man who works on both sides of the border and does whatever he deems necessary to impose justice. Del Toro glides across the screen, always in control. James Franco (True Story) – You never know exactly where you stand with Christian Longo, an accused murderer who claims to be protecting the “real” killer of his wife and children. Do you believe the soft-spoken, sad-eyed version of the man, or do you acknowledge the creepiness of the attention he pays to Jill Barker (Felicity Jones), girlfriend of Mike Finkel (Jonah Hill), the reporter who has been interviewing Longo about the story and impending murder trial? Franco keeps you on your toes the whole time. Walton Goggins (The Hateful Eight) – You wouldn’t want to spend much time with any of the bad seeds from Tarantino’s latest revenge flick, but Goggins brings some weird Southern charm to his performance as Sheriff Chris Mannix, a guy who has no idea what he got himself into when he asks to ride into town with bounty hunters (Kurt Russell and Samuel L. Jackson) and a wanted woman being brought to jail (Jennifer Jason Leigh). Jack Huston (The Longest Ride) – Although the main love story in this sappy drama is portrayed by young lovers in modern times (Scott Eastwood and Britt Robertson), the B story concerns two Jewish-American characters living in the 1940s and 50s, Ira and Ruth (Jack Huston and Oona Chaplin respectively, fulfilling some kind of quota-triple for descendants of powerful film-related families – Eastwood, Huston, Chaplin). I don’t expect great acting in any film based on the writings of Nicholas Sparks, but Huston did some very fine work in this multi-generational romance. Ben Mendelsohn (Mississippi Grind) – You can see the acute desperation in gambler Gerry’s every expression and movement, whether he is quietly considering his next move (the character is essentially an introverted one unless he’s around certain people) or excitedly trying to convince his reluctant pal Curtis (Ryan Reynolds) to take a chance on a crazy bet. There was probably never any likelihood that Ben Mendelsohn would be nominated for an Oscar for such a small, under-seen film, but at least he was able to snag an Independent Spirit Award nomination for Best Male Lead (he lost to Beasts of No Nation’s Abraham Attah). Michael Shannon (99 Homes) – Shannon applies both menace and an oddly seductive magnetism to the role of Rick Carver, a shady real estate broker who takes every available pleasure he can from bilking the system and making profits out of homeowners’ pain. Jason Statham (Spy) – After a long career starring in action movies, Statham plays his role for laughs here as a super-cool, super-tough CIA agent who is comically awful at his job, klutzy beyond belief and, despite what his actions say to the contrary, convinced that he is James Bond incarnate. A while ago I set a goal for myself: to see fifty films that were released in US theaters in the calendar year of 2015, by the time of the 2016 Oscars. Although I have not yet seen some Oscar-nominated films – I want very much to see The Revenant on the big screen – I have experienced a wide array of genres and styles of filmmaking. (I’m not even 100% certain about some of these rankings, since the process of judging is complicated and constantly shifting, but this is the list that I have settled on at the moment.) Some of my reviews for these films have not been posted online yet, but they will be soon. For now, enjoy! The Longest Ride – dir. George Tillman, Jr. 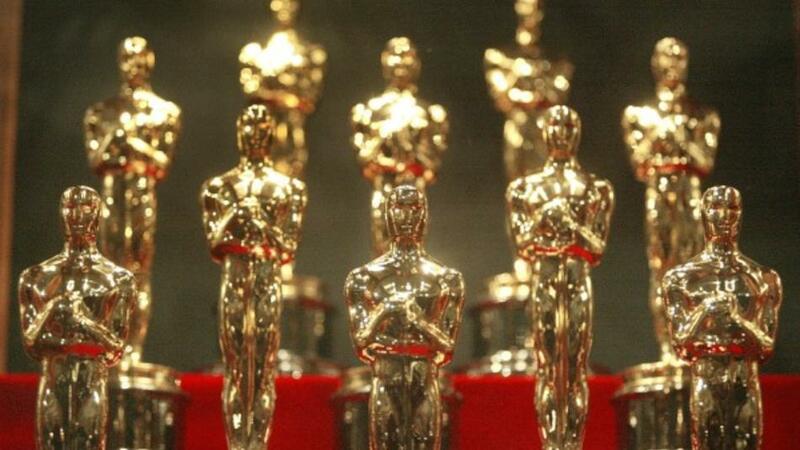 Except for three categories (documentary short, animated short, live action short), here are my predictions for the Oscar nominations, will be announced tomorrow morning. I expect to get some wrong: maybe Alicia Vikander will snag a nomination for The Danish Girl; some old hands and relative newcomers could sneak into the Best Supporting Actor category, including Paul Dano (Love & Mercy), nine-year-old Jacob Tremblay (Room), Benicio Del Toro (Sicario) and Mark Ruffalo (Spotlight); Bridge of Spies could get an Original Screenplay nod; I could be totally wrong about the contenders for Best Production Design (Brooklyn and The Danish Girl could edge out some competitors); Scandinavian features The Fencer (Finland) and A War (Denmark) might earn nominations for Best Foreign Language Film. Despite all these possibilities, here is my final-decision list. P.S. It doesn’t look like too many women-directed films are contenders this year; the only four that I have marked down are Fifty Shades of Grey (Sam Taylor-Johnson), Meru (co-directed by Jimmy Chin and Elizabeth Chai Vasarhelyi), Mustang (Deniz Gamze Ergüven) and The Prophet (two of the ten animated-film-segment directors are Joan C. Gratz and Nina Paley). This is disappointing, seeing as how this year’s Independent Spirit Award nominations have recognized Advantageous (Jennifer Phang), Among the Believers (co-directed by Mohammed Naqvi and Hemal Trivedi), The Diary of a Teenage Girl (Marielle Heller), Girlhood (Céline Sciamma), Heart of a Dog (Laurie Anderson), Incorruptible (Elizabeth Chai Vasarhelyi), Meadowland (Reed Morano), Mississippi Grind (co-directed by Anna Boden and Ryan Fleck), Songs My Brothers Taught Me (Chloé Zhao), (T)ERROR (co-directed by Lyric R. Cabral and David Felix Sutcliffe) and A Woman Like Me (co-directed by Elizabeth Giamatti and the late Alex Sichel). Tomorrow morning at 8:30 am (Eastern Standard Time), I’ll be ready with pen and paper in hand, watching the live announcement of the Academy Award nominations. As usual, I didn’t try to figure out the short film categories since I never have any clue what’s in the running. Otherwise, all categories are present and accounted for. This is the time of year when critics, bloggers, moviegoers and anyone else who wants to makes a “best of” list for the films that came out during the calendar year. Although I made a post that chronicles the films I saw in a set of GIFs, I feel that I would be doing a disservice to the films I have not yet seen by prematurely creating a ranking. American Sniper, Big Eyes, Birdman, Citizenfour, The Gambler, A Girl Walks Home Alone at Night, Gone Girl, Goodbye to Language 3D, The Imitation Game, Inherent Vice, Leviathan, A Most Violent Year (which wasn’t released until December 31 anyway), Mr. Turner, Nightcrawler, Selma, Still Alice (I hope to see it soon at a Museum of the Moving Image screening introduced by none other than Julianne Moore), Two Days, One Night (which I have heard some people call the best film of the year), Unbroken, Whiplash, Wild and more are still on my to-see list, so I am going to wait until closer to Oscar time until I actually create a “Best Films of 2014” post. In the meantime, I’m going to keep watching movies both new and old. Happy new year, everyone!